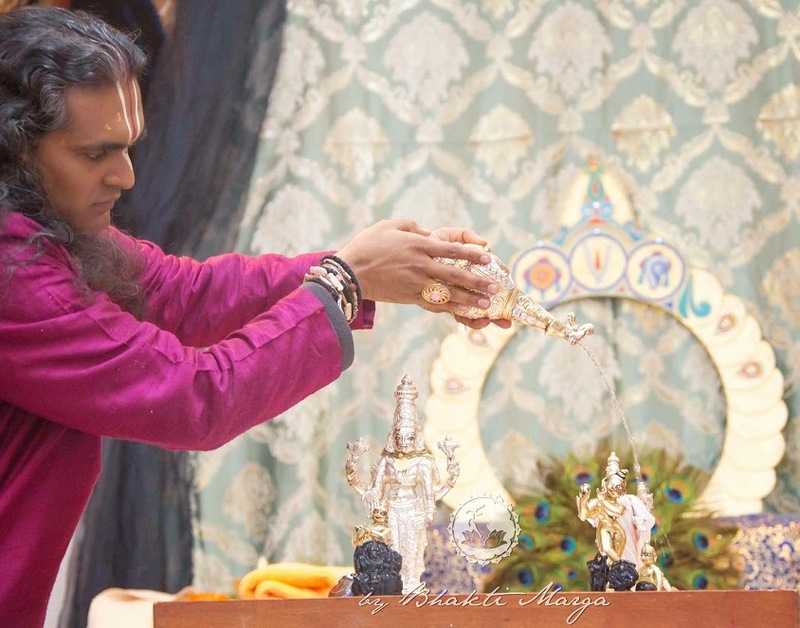 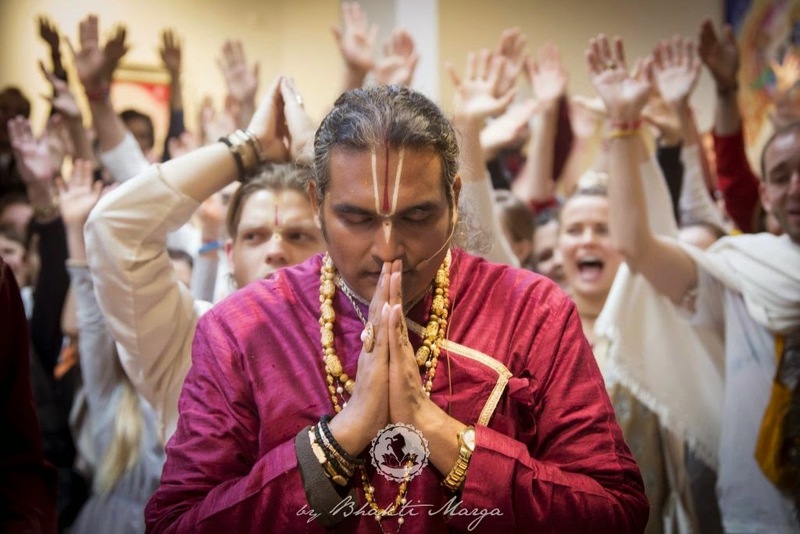 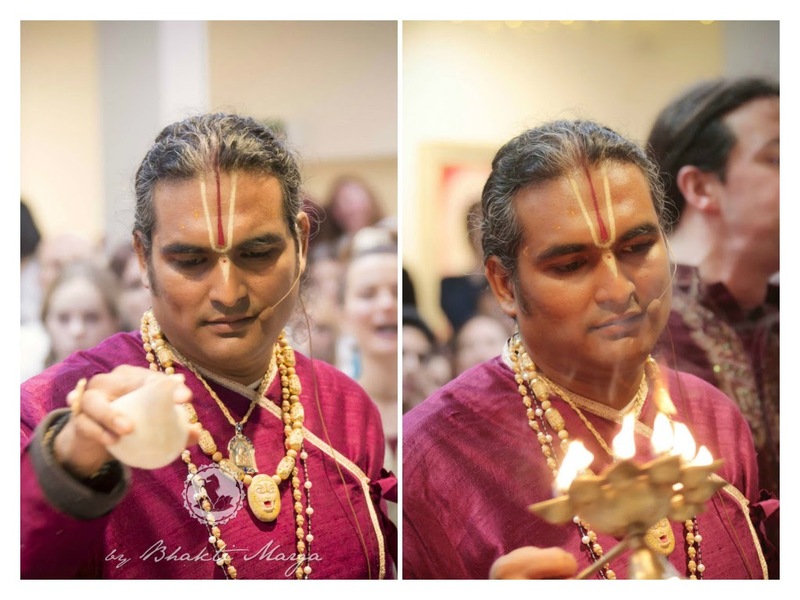 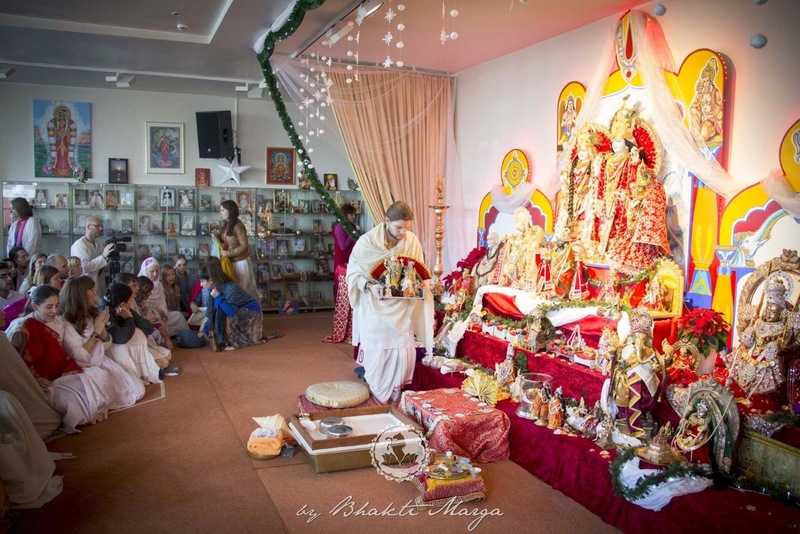 On the 1st day of the year 2015, at Shree Peetha Nilaya, Sri Swami Vishwananda graced us with the possibility to be in His physical presence while He was performing an Abishekam on His personal deities. 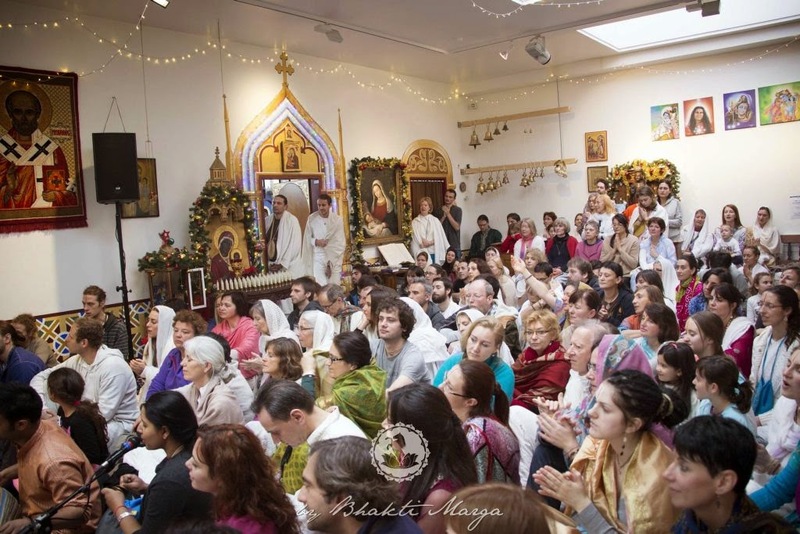 This event was not scheduled in the official programme, but Swamiji had made an early morning announcement at the end of the Bhajan Disco. 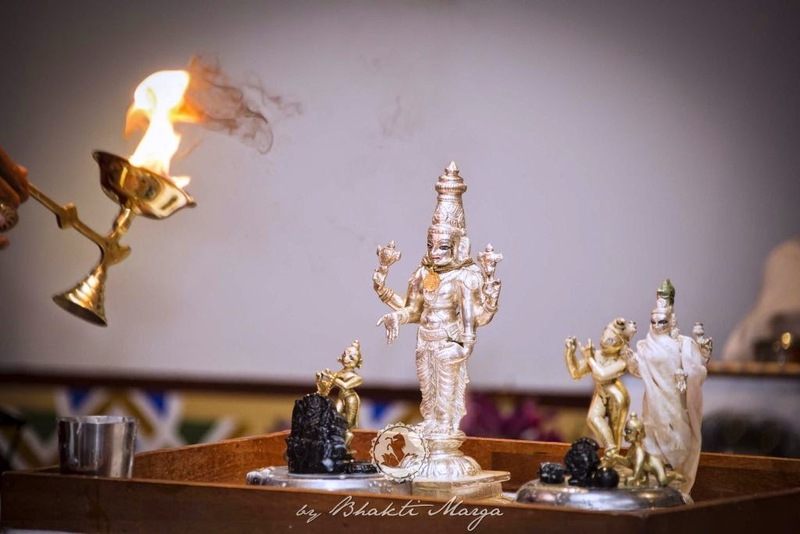 The Abishekam was supposed to be held in the Temple but as it wasn't possible to accommodate everybody there, Swamiji decided to perform it in the Light Hall. 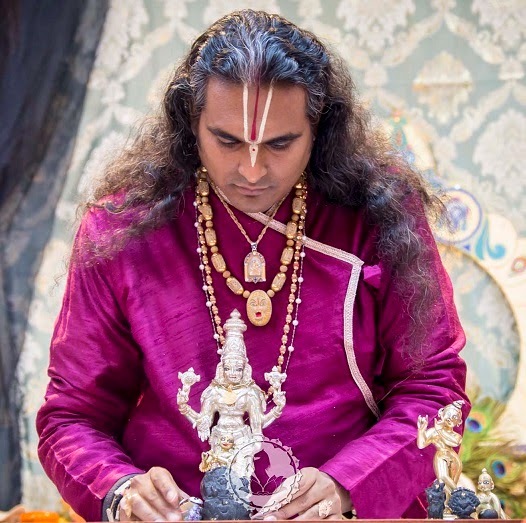 At the beginning, Sri Swami Vishwananda placed all the deities on His own asana (chair) and then He placed them one by one on the Abishekam tray: Thakurji, Giridhariji, Mahavishnu, Mahalakshmi, several little Saligrams representing different forms of Mahavishnu, like Narasimha, a little Govardhana Shila representing Krishna and a little murti of Bala Krishna. 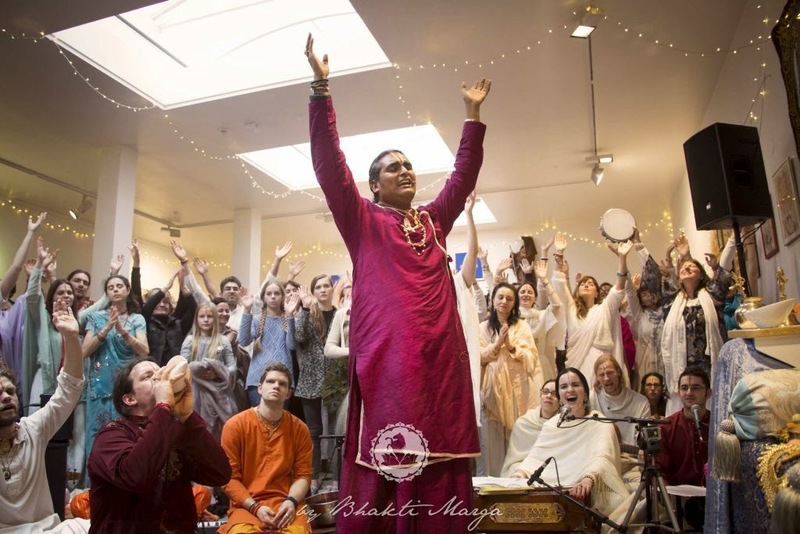 Bhakti Marga musicians led us all through an amazing Kirtan experience during this most auspicious Abishekam. 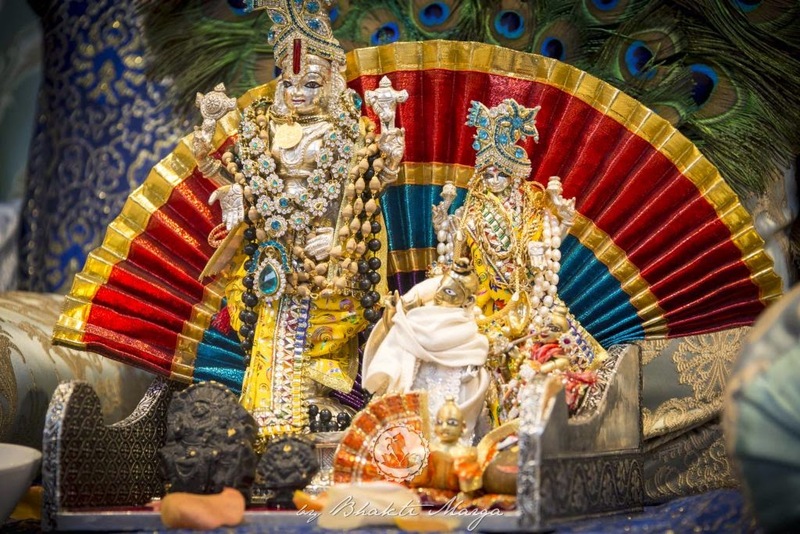 So, everybody rejoiced dancing and singing Radha and Krishna Names. 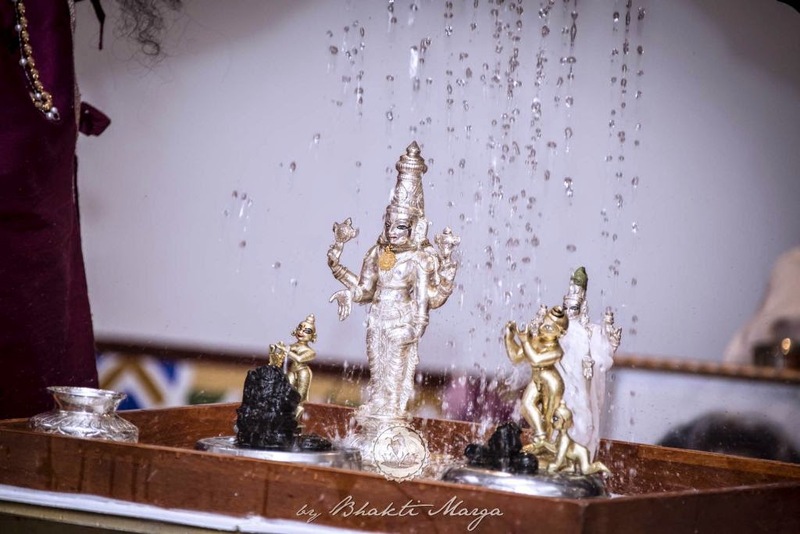 At the end, Swamiji performed Arati. 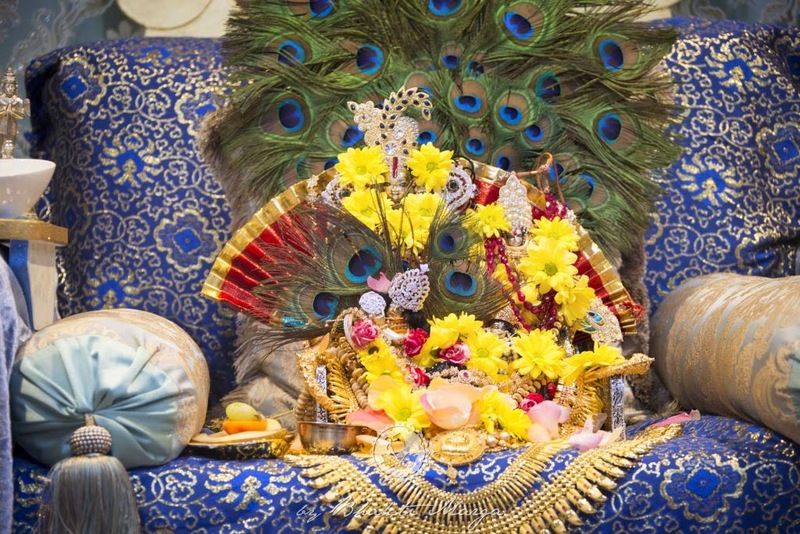 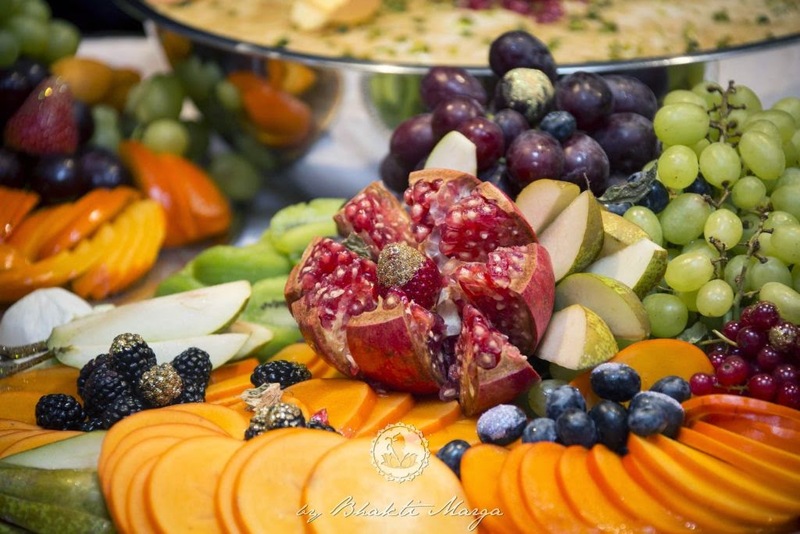 Afterwards, everybody had the opportunity to receive the deities' Darshan and partake of the delicious prasad.